In the center of Provincetown, just one block off lively Commercial Street, The John Randall House delivers a tranquil boutique experience in the heart of the most unique village on Cape Cod. A bed and breakfast that is also part art gallery, this Victorian-style inn features contemporary works by local and national artists alongside stylish furnishings. In addition to its convenient location and extraordinary artwork, this hilltop inn features an outdoor deck with views of the tallest all-granite structure in the United States, the Provincetown Monument, which commemorates the history of the Mayflower Pilgrims. Provincetowns Inn for art-lovers. The John Randall House! Spring into Summer! This year we’re introducing freshly baked pastries made by Shane Landry of Connie’s Bakery to enhance our continental breakfast. With new artwork, updated rooms, expanded garden areas, and our traditional hospitality, we hope you’ll make plans for a return visit to Provincetown. 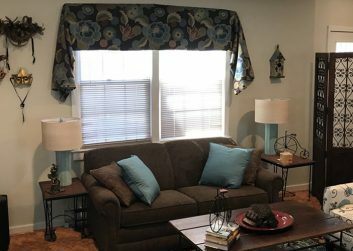 The "Cottage at the John Randall House" is a fully furnished two-bedroom condo with all the amenities for a home away from home. Just one block off Commercial Street with its galleries, shops, cafés, gyms, fine dining and busy nightlife, the cottage’s central location makes everything conveniently close. But best of all, its secluded setting off the street provides a peaceful, private space to enjoy your stay in Provincetown. “Cottage 2 at the John Randall House” which is currently under renovation is a spacious, fully furnished one-bedroom condo with all the amenities for a home away from home. 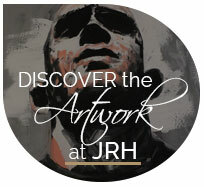 The design of the new cottage will be in keeping with the overrall feel of all JRH properties. Part art gallery with a touch of eclectic flavor, this new cottage is bound to be a crowd pleaser. The Cottage comes with parking for 1 vehicle, air conditioning, washer/dryer, a front deck a gas grill on site, a wood-burning fireplace, and much more. Driving into Provincetown can be a problem in summer, avoid late afternoons, Friday & Sunday evenings if possible. Parking is not a problem since we have unobstructed onsite parking for one car per room. The passenger ferry from Boston is a great way to travel into town. It's scenic and relaxing, and the town pier is a short three block walk from our inn. You will find links to the ferry companies on our Directions page. Cape Air is the only scheduled carrier to P-Town, flying from Boston. Cape Air partners with Jet Blue, offering seamless check-in and baggage service from anywhere Jet Blue flies. You can click through to either airline's website from our Directions page.